Google is working on a third operating system called Fuchsia. This is something separate from Android and Chrome OS that isn’t based on Linux and is essentially an all-Google product from top to bottom it seems. It’s kind of been around since last August, but recently was updated on some level with UI elements that give us a preview of what Google is up to here. I’m not really sure where to start because there is a lot to talk about, but the basics are as follows. Fuchsia is built on Google’s own kernel called “Magenta,” while the interface and apps are written in Google’s Flutter SDK (with Google’s Dart), a Vulkan-based graphics renderer called “Escher,” and all sorts of Google’s Material Design. It’s all Google, folks, something that can’t be said for Android. So what’s Fushsia being built for? ArsTechnica has a good write-up of all of the dirty details, but their suggestion that this is Google’s way of creating something that is all them, that gives them full control and that works everywhere, makes a lot of sense. On the flip, you have Android that is built on Linux with Oracle’s Java and licensed under GPL (General Public License) and blah, blah, blah. Fuchsia, again, sure looks like Google making an operating system for phones and computers all from scratch for the most part. That’s right, this is an operating system that wants to be on smartphones and personal computers, with fast processors, and plenty of RAM. 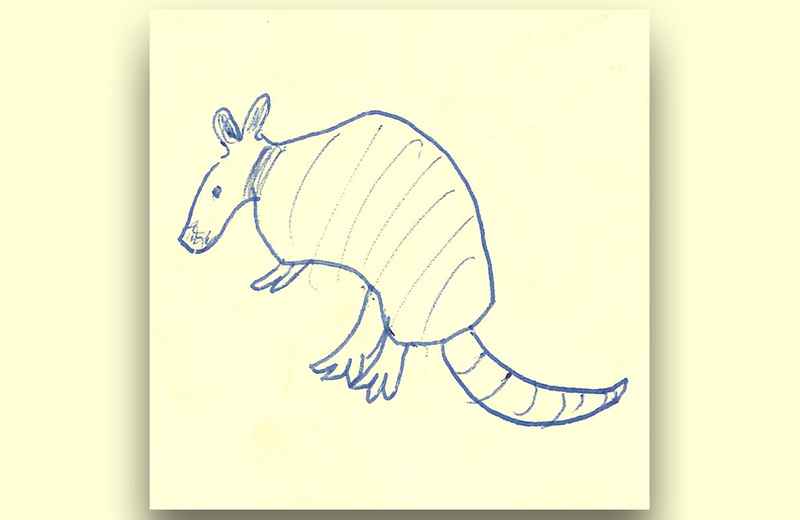 In recent findings, Hotfix discovered a UI preview for Fuchsia that is called Armadillo, hence the image above and the reason we’re talking about it today. Don’t go crazy and think that this now means Fuchsia is about to be shipped, but it does let us in on this radically different UI from Android and Chrome. Check out the video below to get a preview. It’s – obviously – very card-centric. You have a starting point that shows your profile photo along with time and location, followed by cards above that could be shortcuts to apps. It looks like some Google Now-esque action below too. So you can swipe through this areas to get to apps or drag-and-drop them to pull up multi window scenarios, resize windows, open multiple tabs within windows, and interact with Google from anywhere. I believe that is a home button as well that will get you back to the main profile image screen as you finish with an app or task. It’s pretty confusing, to be honest. Since this is in such rough, early shape, don’t take that as me drawing any conclusions. It’s clear that Google has a lot of work left to do here with Fuchsia and Armadillo. Either way, this is something to keep an eye on. Google is still working on it, so they do still care about it for now. Will they in a year or two? Insert shruggy face.